The South African battalion earmarked for deployment as part of the UN DRC intervention brigade is currently undergoing intensive training ahead of joining up with elements from Malawi and Tanzania in the central African country. “Training is hard,” SA Army Chief Lieutenant General Vusi Masondo said at a media briefing in Thaba Tshwane today, adding that “we are confident our soldiers will do the country proud in keeping with the Army motto ‘We train as we fight'”. The men and women scheduled to be part of the brigade are also on the receiving end of the hard lessons learnt by their colleagues from 1 Parachute Battalion during the Battle for Bangui in the Central African Republic (CAR) at the end of March. The South African battalion will replace the one currently deployed as part of the UN MONUSCO force in Goma. 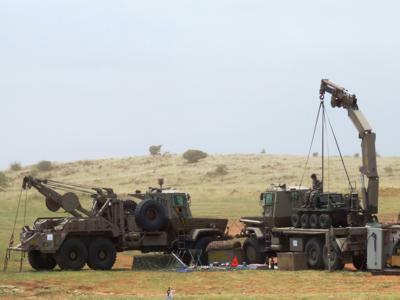 “The new battalion’s deployment is part of the SA National Defence Force (SANDF) rotation policy. It is good in that the UN call, backed by the Southern African Development Community (SADC), happened at this particular time as it allows us to send fresh troops to the DRC,” he said, adding that no exact date had yet been received for the SANDF contingent to join up with the other brigade elements. As far as the CAR deployment and it tragic outcome was concerned, Masondo said he was “convinced” few other forces would have been able to match the combat capability displayed by the South Africans in the situation they found themselves in. “Although all things possible are done to prevent casualties on the battlefield, they do not unfortunately occur. This is a fact many of the super powers deployed in UN peace missions have come to accept. No battle space can be totally controlled by whatever force in appreciating all possible scenarios. “Even with all available intelligence resources focussing on trying to establish just that, it is the quality of soldiering that in the end decides the result when conflict is inevitable. “I want to assure you we have taken heed of the CAR incident and will incorporate the lessons learnt there in preparing forces for future operations,” he said in tribute to those killed and wounded and as a reassurance that South African’s military commanders would do as much as was humanly possible to prevent further, similar, incidents. A contingent of Tanzanian soldiers, the first part of the brigade, has already arrived in Goma in the DRC in preparation for the formative part of brigade establishment. Tanzanian Brigadier General James Mwakibolwa will command the brigade, the first in UN peacekeeping history to be given an offensive mandate.